Glynde Place is open to the public during the months of May and June and August Bank Holiday. Private tours can be arranged until the end of October. 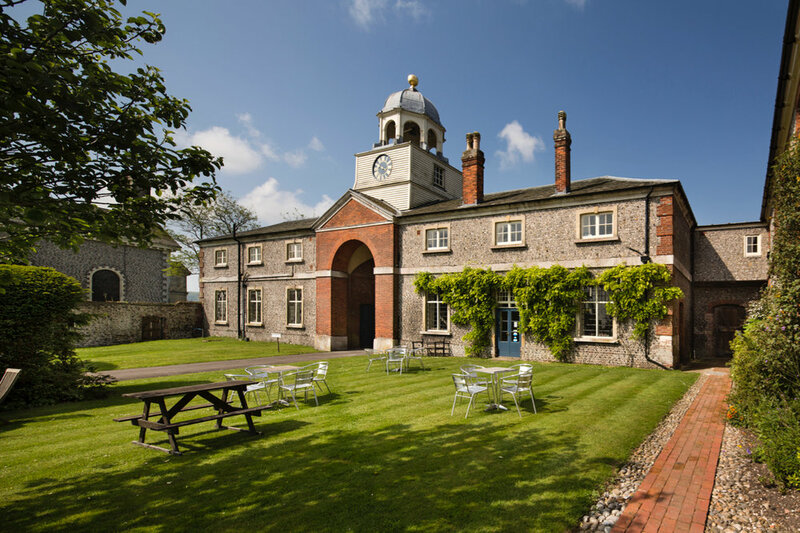 Glynde Place is open to the public for a short season in the spring and early summer. You will be shown around by one of the guides, who will show you 500 years and more of family life at the house. Visits to the house is by guided tours; no free flow. Private tours are also welcome on non-open days (Monday, Tuesday and Friday). Please see below for details of prices, dates and times. Please note that most of the tour is taking place on the first floor and that there is no lift access. The tea room at Glynde Place is open between 1pm to 5pm on days when the house is open to the public. The Coach House Tearoom is open from 1pm until 5pm, and is self service. Cakes and biscuits are from the local producer in the village, A Taste of Dreams. Please use the enquiry form below to contact the office about your tour. Private tours can be booked on Monday, Tuesday and Fridays (see above) during the months of May to October. We charge £10 per person (minimum charge £200) for a Private Tour. The tours can be tailored to your needs: from tea and cake to champagne reception, extended tour of house, or church too. For further information please call the Office on 01273 858224. Please fill in the details below and make sure to include approximate numbers and any preferred dates you might have. Also include any special requirements you may have. Approximate size of the tour party if applicable. Dates that you are enquiring about, if you have some.